by Eric Lutz, associate curator of prints, drawings, and photographs. 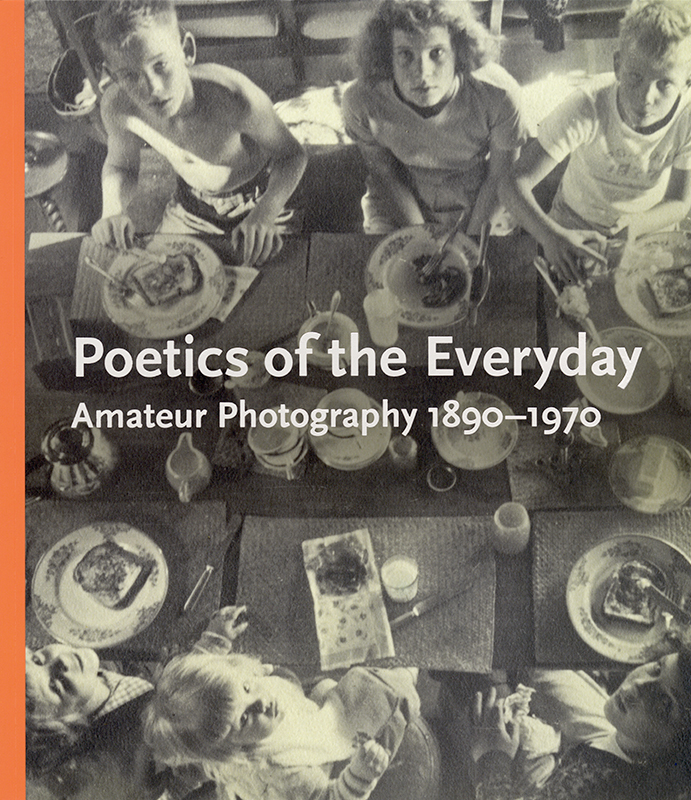 The 110 prints on view in Poetics of the Everyday: Amateur Photography, 1890-1970 were taken during an extraordinary period of time, primarily the first half of the 20th century, when portable cameras became affordable and available to millions of enthusiastic new amateur photographers. The makers of the prints generally anonymous; in fact, most did not consider themselves to be artists. And yet, their work demonstrates the remarkable aesthetic heights that were achieved in this democratic medium through intention, experimentation, or accident. The selection of photographic prints in the catlalogue embrace lightheartedness in everyday life, and even capture oddities revealed in often-overlooked moments. While small in scale, they are tantalizingly rich in detail and many are complex in composition, immersing the viewer in their small worlds. This catlalogue tells part of a larger story about the history of photography by revealing the restless inventiveness with which amateurs photographers began to use the camera, expanding the boundaries of creative expression in ways worthy of our attention. How they used the camera and how they saw the world around them has become a vibrant area of focus for collectors, researchers, and museums alike in the 21st century. The catalogue celebrates the gift to the Museum of 150 photographs by John R. and Teenuh M. Foster.